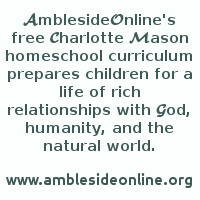 As a help for scheduling Year Eight of AmblesideOnline's curriculum, we are pleased to offer printable charts, the weekly assignments in list form below, or families may choose to use a modification of either for their own personal use. However, please see Our Fair Use Policy before sharing any part of the curriculum. Adventures with a Microscope: choose 4 adventures this term. History of English Literature Chap 41 Spenser--The "Shepherd's Calendar"
History of English Literature Chap 42 Spenser--The "Faery Queen"
Churchill's The New World ch 11 The United Crowns to page 159 "negotiationsfor the Spanish match." History of English Literature Chap 47 Shakespeare--"The Merchant of Venice"
History of English Literature Chap 48 Jonson--"Every Man in his Humour"
Johannes Kepler ch 5 Banishment! Churchill's The New World ch 14 from 'Presently Charles' Lawyers and sleuth-hounds' to "Irish Army in Scotland whenever it might be necessary." History of English Literature Chap 49 Jonson--"The Sad Shepherd"
History of English Literature Chap 50 Raleigh--"The Revenge"
History of English Literature Chap 51 Raleigh--"The History of the World"
Johannes Kepler ch 11 Home at Last! ** Chapters 11 and 12 of Napoleon's Buttons are not scheduled and can be skipped. Churchill's The New World, ch 19 The English Republic to "there still lies 'the curse of Cromwell.'" John Donne's "Devotions Upon Emergent Occasions - Meditation XVII"
Churchill's The New World from ch 19 The English Republic, from "At the moment when the axe. . ." to ch 20 The Lord Protector, to "and the successors of Torquemada." Churchill's The New World, ch 21 The Restoration beginning "The Wheel had not however swung" to ch 22 The Merry Monarch, to "and you have the word of a king for it." Churchill's The New World, ch 22 The Merry Monarch, from "The Cavalier Parliament sternly corrected" to "actually spelt the word 'Cabal.'" Churchill's The New World, ch 22 The Merry Monarch, from "The dominant fact on the continent of" to ch 23 The Popish Plot, to "in the broad course of European events." Churchill's The New World, ch 23 The Popish Plot, from "It was at this moment that Louis XIV" to ch 24 Whig and Tory, to "the Peers rejected the exclusion Bill." Whatever Happened to Justice pg 210-217 ch 42, "Spread the Word"
Churchill's The New World, ch 25 The Catholic King, to "which he most desired came to pass." History of English Literature Chap 59 Bunyan--"The Pilgrim's Progress"
Churchill's The New World ch 25 The Catholic King, from "James was now at the height" to ch 26 The Revolution of 1688, to "now events struck their hammer blows." Whatever Happened to Justice pg 222-227 or 228-233 Agreement Between . . .
Churchill's The New World, ch 26 The Revolution of 1688, from "At the end of April James issued" to end of book.